Managing personal finances is certainly one thing everyone would like to be an expert at; however, the paperwork that goes into making a well-made personal finance stat is not very welcoming, to be precise. So, why not we go for some alternate in this age of rapid-fast digitalization where everything depends on technology. Here today, we bring to you a wrap-up of top five smartphone apps that would work wonders for managing personal finance. These apps mainly concentrate on how to manage your budget, make savings and then keep a record of every penny you spend. These apps have their own pros and cons, and so it’s rather tough to make selection as to which app is the best of the lot. They’re all good, depending upon your use, need and expectations. Check them out now. Not all of your bills are due to be paid on the same day, or are they? Not really, that’s what lies on the framework of BillTracker. It’s a tiny app that keeps a toll of all your routine bills and the day they are due to be paid. You just need to input the amount you need to pay for any particular bill, and that’s it. Next, you need to fill in the date due for the submission of the bill. That’s all the information this app needs to schedule a calendar view of your bills for the entire month. 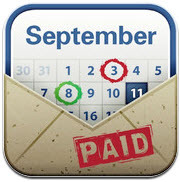 As the month progresses, the app will keep a check on all the bills you are deemed to pay for the month. You can check the app at any time to see the current status of your bills payment and to check what all bills you need to pay during the month in progress. Also, you can set a reminder or alert alarm that will remind you of all the bills you must be paying around the current date. It is, indeed, a wonderful app for you if you are one among those who dread forgetting the payment of bills. Undue expenses such as overdrawn and late fees not burden your budget and blow a hole in your wallet; but also strain your credit rating unduly. It’s a wonderful app you will hardly ever get to witness in the segment. With a superfine mingle of features and functionalities, it assists you no end in managing your financial status. The application has easy options which you can set so that it can provide you alerts about recurring bills and other financial transactions that you need to handle during a particular month. Also, it can provide you alerts about late payments and overdue bills, that’s indeed something we all wish to remember forever and never miss out on. It will provide you easy access to a lot of personalized financial assessments and other reports that you can customize by adding various color codes etc. to make them stand apart from others. Easy Money can also be used as a screen widget, isn’t it something special? It will, then, provide you a detailed summary of your bills, other payments and financial transactions. 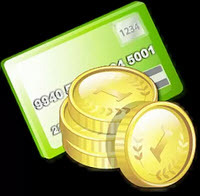 With the screen widget in place, you are open to add new financial transactions without even running the application. 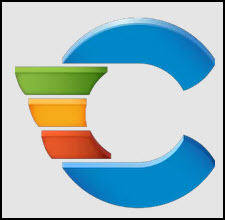 It provides a range of other features which include taking images of your bills, making calculations on a spreadsheet, storing them in CSV format, using the calculations for further analysis, and a lot more. Though the app looks like a bit on the higher side in terms of the price, you are open to take advantage of a 30-day free trial to check out its various features before going on to buy the full version of the app. 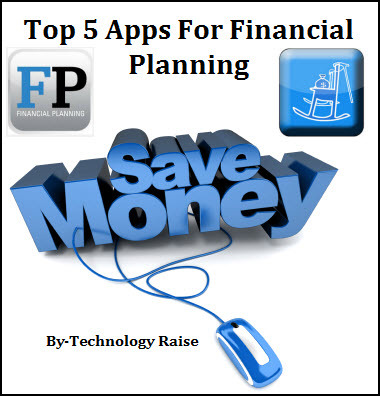 The next on our list of top five bestselling financial planning apps is the Pageonce Personal Finance which holds aces in tracking bill payments, bank accounts, investments, credit card transactions, etc. Once programmed to good effect as per your bill dates and other critical information, it offers reminders and other timely alarms for your due dates of bill payments and all. Though budgeting feature is not available in this application, it’s still worth the price because of its multifaceted features. Pageonce can easily keep a record of various pay-as-you-go indices like your cell phone minutes and frequent flyer miles, etc. In addition, you can upgrade to the full premium version also that offers various other exciting features such as flight information. Other than the financial aspects, this app has a bit of non-financial features as well. For instance, you can anytime check your Facebook updates, Netflix queue as well as your eBay account, isn’t it interesting? There’s also a free account on which you will have to deal with a plentiful of advertisements, make sure you choose a strong enough password for your account on this app. In comes an absolutely free app that will surely make your life a whole lot easier - especially when it comes to managing financial transactions. This app supports both the Android as well the iOS platform and helps you easily transfer data from one to another. It provides you the ease and comfort to add your transactions, manage them, set up notifications for your budget, check your accounts, etc. And all this comes absolutely free, what else can one hope for. Last but not the least; we have for you an absolutely amazing and super-saving app. When you take your iPhone for the next shopping fiesta, don’t forget to use this tiny app. 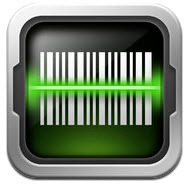 Just take the image of the bar code and this app will take no time to read it. That’s not all: it will populate a list of places from which you can buy the same stuff for much lesser price. You can see the open hours of each store, compare the prices, and can then decide from which store you should buy the product in order to make maximum benefit. In addition, you can learn more about the product you are interested in. You can also browse the web for various other details to see whether or not the product was manufactured ethically along the standard business lines. Exactly the way you use Google shopping, you can use this almost free and faultless app. You can visit the website to see the price of the commodity you are interested in, and it will also show you if the product is available with free shipping. You can explore the entire shopping store at will till the time you are fully satisfied to add the product in your shopping cart. That means you need to test the entire website ahead of leaving the store and buying the goods online. That is you may need to go to the final step to find out the actual price of the goods you are about to purchase in order to find out whether or not the item you are about to buy is available at cheaper price on other stores and outlets. This will surely make one of the most interesting apps you would have ever seen.